Are you wondering why your air conditioner is leaking water? In this article, we share the main reasons why your aircon is leaking. Sounds complicated? If you need help, feel free to contact us for a FREE consultation. Our aircon is cooling great again! Shout out to the Cool Earth team who serviced us last week. Ah Ming surveyed our home, did the installation, and tested the unit in just a couple of hours. It was quick and it was affordable. I was so happy! One of easy to find aircon service provider online! They respond fast to your inquiries and even gets the job done faster than expected. Repairs and maintenance go-to air cond company for my family and even the office. Cool Earth is both reliable and affordable. Much thanks to Cool Earth Sg Support team for responding to our request short notice. Hoping to have better performing aircons now! Profesionnal and skilled in aircon service repair! Saved us some money by restoring the state of our AC. fast and easy transaction online. Days prior our set appointment, we immediately got a confirmation call from one of their guy. Let’s find out more about the common reasons why your aircon is dripping water here. An air conditioner is more than a simple household appliance, it is something that many of us could not imagine living life without. That is especially true in the middle of the summer months, when the weather can get quite hot and suddenly, you find that you are spending as much time indoors as you possibly can. 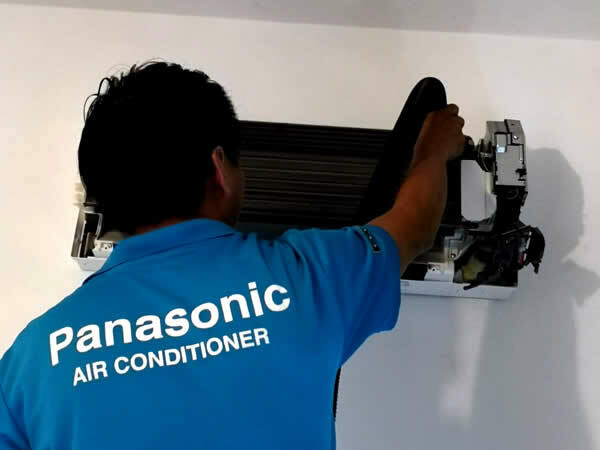 Having an air conditioner that is often operational during the time can be of benefit but there are also some issues that may occur from time to time as well. One of those issues is when the Aircon is dripping water. 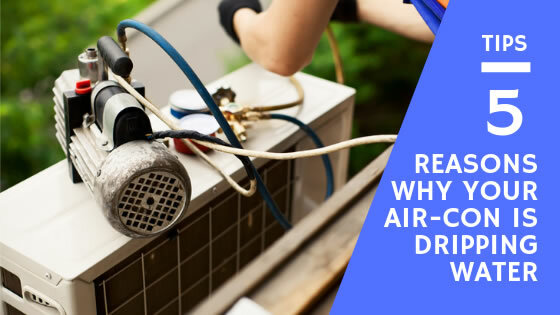 Since it is such a common problem to have dripping water from an air-conditioning unit, it is the purpose of this article to identify the reasons why it occurs and to offer some solutions that can get your unit back up and operational again. First of all, you will be happy to know that an air conditioner dripping water is not typically a problem that is going to cause an immediate breakdown in the unit. It is an issue that needs to be addressed quickly, however, so that further problems do not occur. One of the biggest issues associated with an air conditioner dripping water is damage that might take place to the home. Water is something that is associated with every air-conditioner but when it is operating properly, it will not drip into the unit and it certainly would not drip into the home. Once the water begins dripping, however, it could quickly lead to damage to the nearby area and if it is left too long, mold may even develop. The following are some of the more common reasons why an Aircon is dripping water and what you can do to correct it. One of the more common reasons why water may be dripping from the AC is because there is an air leak from somewhere around the area of the vent. This is a relatively common problem and it is fairly easy to both diagnose and to fix. Quite simply, you need to inspect the unit carefully to see if there is air coming from anywhere other than the grates themselves. If that is the case, you can purchase something to seal the leaks and the problem should be resolved. Another reason why you may be experiencing dripping water from the AC unit is because of the air filter. The air filter is not necessarily causing it to drip but if the filter is dirty, it is not getting the proper airflow and the AC unit may be freezing up to a certain extent. 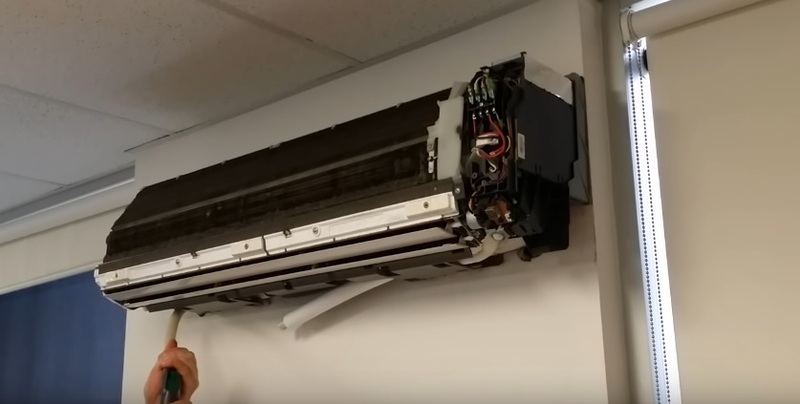 When the AC unit shuts down, either because it is turned off or because the room has reached the proper temperature, the frost melts from the unit and the dripping begins. This is also an easy problem to both diagnose and fix. Check the air filter on a periodic basis and make sure that it is clean. After cleaning or replacing the filter, the problem should stop. There is a drain line that allows water that has accumulated to flow from the area without dripping into the home. If you look into the condenser unit and the drip pan is full of water and overflowing, this is likely the problem. If you see any rust in the area, it is potentially a very serious problem. You need to unclog the drain to allow the water to flow away from the area. A number of methods are available to unclog the drain, including blowing it out with compressed air. Since this is such a serious issue, however, it is a better idea for you to contact a professional and have them correct the issue for you. This is a more serious problem and it is one that requires the assistance of a professional. When a refrigerant leak exists, the vents are likely to leak water as a result. The reason why this is the case is that the AC unit requires sufficient refrigerant levels so that humidity can be removed from the inside of the home. When water is removed from the home and it stays on the coil, it can freeze and eventually, lead to dripping. Contact a professional if this is an issue. There may be times when the evaporator coil can ice over and it causes the entire system to shut down. When the ice melts, it will ultimately lead to a problem with dripping water. This is a problem that should be assessed and corrected by an aircon professional. These are the most common reasons why water may be dripping from an Aircon. If you are able to identify the issue, you can often correct it or understand the steps necessary to have it corrected for you. Looking for a solution about your leaking aircon? Check out this post that explains the most common reason why your air con is dripping water. Reach us if you need a professional air con technician to help you.